See Our Latest Advancements & Promotion Winners! Reliv has doubled its monthly Master Affiliate total, so the CASH BONUSES for April and beyond have increased! Phase 2 has been unlocked! PGPV in a calendar month for any Distributor or customer registered this month. Personal Volume (PV) not counting any Kalogris donations. All PGPV from qualifying MA volume regardless of when the Distributor registered. Volume must be purchased from Reliv and must be in the new person’s account. When Reliv doubles its monthly MA total AGAIN, Reliv will escalate the cash bonus. 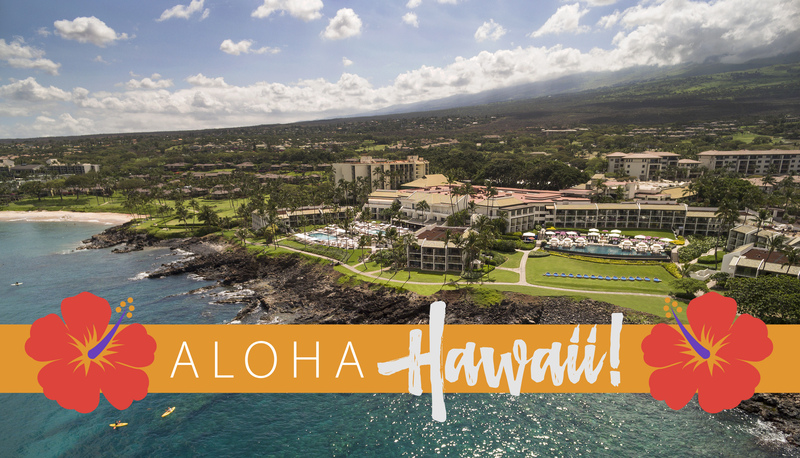 Reliv wants you to experience a once-in-a-lifetime destination, and that's why we've chosen the Wailea Beach Resort on the island of Maui for your accommodations. With over $100 million in new renovations and sprawling over 22 oceanfront acres, this oasis exudes "authentic Hawaii" at its finest. 1. All NEW PD's during the promotion period are automatic qualifiers. 60 points and qualify for 4 nights accommodation and airfare for two. 70 points and qualify for 5 nights accommodation and airfare for two. 80 points and qualify for 5 nights accommodation, airfare for two and $500 cash. 90 points and qualify for 5 nights accommodation, airfare for two and $1,500 cash. Accumulate 100 points AND be one of the TOP 5 in total points and qualify for 5 nights accommodation, airfare for two, $1,500 cash and upgraded accommodations to a suite. Trip has no cash value. b. Quick Start Distributor must be personally sponsored anytime during the promotion period AND must achieve a one month volume of at least 500 PGV (advance to the 25% level) during any one of the calendar months during the promotion period. Qualifying order, or orders, must be purchased directly from the company in the new Distributor RCN during that QS qualifying month. c. Breaking a first level “pushed” Master Affiliate (MA) will earn you 4 points. A “pushed” MA is defined as any Distributor qualifying as a MA via the “1,000 PGV unencumbered” method. If you have already been awarded two (2) QS points for this newly “pushed” MA anytime during the promotion period, you will only be awarded an additional 2 points, for a total of 4 (the amount awarded for a new “pushed” MA). Master Affiliates in their “qualifying month” (QMA) can be awarded these points. d. Breaking a first level (full 5,000 PGV or 3,000 PGV in consecutive months) MA will earn you 8 points. MA must have broken out of your PGV into your first level (not necessarily personally sponsored). If you have already been awarded two (2) QS points for this new MA anytime during the promotion period, you will only be awarded an additional 6 points, for a total of 8 (amount awarded for a new MA). Master Affiliates in their “qualifying month” (QMA) can be awarded these points. e. Qualify as a MA (Full 5,000 PGV or 3,000 PGV in consecutive months) anytime during the promotion period and receive 10 points to jumpstart your trip qualification. “Pushed” MAs do not qualify for these points. f. Qualify as a Key Director (KD), or Senior Director (SD), or Master Director (MD) anytime during the promotion period, and receive 15 points for each advancement. Qualify as Presidential Director and receive 30 points. First time qualifiers only. g. For each First Level Distributor in your organization that qualifies for the trip promotion (with a minimum of 60 points), you will be awarded 15 points. h. Qualify as an Ambassador, OR each time you advance an Ambassador level (achieve Bronze, Silver, Gold, Platinum, etc. ), anytime during the promotion period, and you will be awarded 25 points. Notice: All sales volumes or point totals, deemed to be a manipulation of this promotion, are and will be subject to audit and potential disqualification. Power up with Promo 1! Sign up three new people at the Quick Start level and earn a $250 bonus. You can earn this bonus more than once! *Volume must be purchased from Reliv and must be in the new person’s account. Move ahead with Promo 2! Help one of your new Quick Starts get up to Master Affiliate, which earns you another $250 bonus! *5,000 PV must be purchased from Reliv and must be in the new person’s account. Take it to the top with Promo 3! Preferred Customers who sign up for autoship (either monthly or quarterly) will receive a 20% discount on their product purchases! Be sure to share this good news with your prospects today! Plus! When you sign up three Preferred Customers on autoship in a single month and they each place a product order of 99 PV more, you will receive a $100 Reliv product credit! Get three Preferred Customers placing autoship orders in a single month valued at 200 PV or more and receive a $200 Reliv product credit! Plus, all Preferred Customer autoship orders of 99 PV or more receive FREE SHIPPING! All new or existing Distributors who are below the 25% profit level and place an order for $500 or more that qualifies them as a Quick Start will receive free ground shipping on that order! Plus, qualifying Master Affiliate orders will also receive free ground shipping during this promotion! Ready to Earn Even More? Find out how you can earn Reliv's highest honors: a Sales Excellence Award and Sandy Montgomery Award.